Vatican City: Pope Francis has declared everyone has the right to be baptised, even aliens should they come knocking on the church's door. 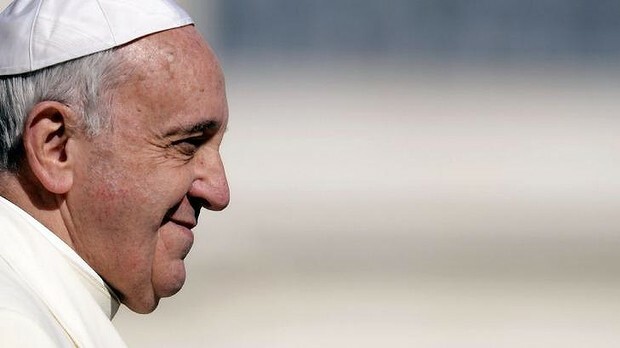 Christians cannot "close the door" to all those who seek baptism even if they are "green men, with a long nose and big ears, like children draw," the pope said at his daily mass on Monday, according to Vatican Radio. "If tomorrow, for example, an expedition of Martians arrives and some of them come to us ... and if one of them says: 'Me, I want to be baptised! ', what would happen?" Francis said in another display of his lively sense of humour. The Argentine pontiff known for his down-to-earth style has often used colourful and humorous expressions to make his points on the direction of the Roman Catholic Church. A provocative question, one answered by two Jesuit astronomers in their book, “Would you baptize an extraterrestrial?” The two Jesuits, Brother Guy Consalmagno and Father Paul Mueller, are part of a team of Jesuit scientists studying and conducting experiments at the Vatican Observatory. In addition to that question, the two scientists also examine other questions posed to them. Among those questions are biblical creation stories versus the Big Bang, how and why Pluto was demoted from its “planet” status, what really happened to Galileo, what was the star of Bethlehem, and what will happen at the end of the world. Brother Guy and Father Paul tackle these questions with a breezy, slightly irreverent style. Their writing technique is conversational, with a lot of off-the-cuff, back-and-forth moments. The science is presented clearly and straightforwardly. The first chapter tackles the question of the Big Bang and biblical creation stories. The authors’ opinion is that God is the author not only of the Bible but also of the Nature. Since science and religion look at life from different angles, what may seem contradictory isn’t necessarily so. Further study might show that scientific and religious truths not only might complement each other but even enhance a mutual understanding. The chapter on the star of Bethlehem looks at a variety of possible explanations for the phenomenon but then branches out to discuss symbolic and allegorical reasons why the author of the Gospel of Matthew would include the story of the magi. The authors include their own personal stories throughout the book, both humorous and touching. For example, in the section talking about the end of the world, one of the authors recounts how he was asked to baby-sit for some friends who had some young sons. As the boys fell asleep, he found himself weeping because his vow of celibacy meant that he could never father his own children. That profound sense of loss also included anger directed at those who would take advantage of the young and vulnerable in their care. Of course, my favorite chapter was about baptizing extraterrestrials. Imagine, baptizing ET! The authors point out that baptism should be a gift, not something imposed on others. They would baptize an extraterrestrial if and only if he or she asked to be baptized. The authors then examine how we do and how we should treat outsiders and strangers among us, echoing the point made by Pope Francis. As for myself, I rarely have a problem reconciling my religious views with science. Something I learned a long time ago is that for me at least, science teaches “how the heavens go,” while religion teaches “how to go to heaven.” A simple, but critical distinction.